Diabetes is a chronic condition that affects over 150 million people in the world today. The percentage of people suffering from diabetes is increasing rapidly, to the point where many medical authorities are referring to it as an epidemic. Diabetes prevents your body from turning your food into energy. Instead glucose stays in your bloodstream, and left untreated can result in a range of complications. Diabetes mellitus is a group of metabolic diseases characterized by high blood sugar (glucose) levels that result from defects in insulin secretion, or action, or both. Diabetes mellitus, commonly referred to as diabetes (as it will be in this article) was first identified as a disease associated with "sweet urine," and excessive muscle loss in the ancient world. Elevated levels of blood glucose (hyperglycemia) lead to spillage of glucose into the urine, hence the term sweet urine. 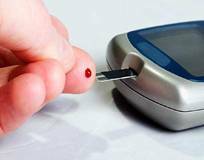 Normally, blood glucose levels are tightly controlled by insulin, a hormone produced by the pancreas. Insulin lowers the blood glucose level. When the blood glucose elevates (for example, after eating food), insulin is released from the pancreas to normalize the glucose level. In patients with diabetes, the absence or insufficient production of insulin causes hyperglycemia. Diabetes is a chronic medical condition, meaning that although it can be controlled, it lasts a lifetime. Though, Diabetes mellitus is not completely curable but, it is controllable to a great extent. So, you need to have thorough diabetes information to manage this it successfully. The control of diabetes mostly depends on the patient and it is his/her responsibility to take care of their diet, exercise and medication. Advances in diabetes research have led to better ways of controlling diabetes and treating its complications. Regular practice of yoga does reduce blood sugar levels, the blood pressure, weight, the rate of progression to the complications, and the severity of the complications as well. Yoga activates the thyroid glands, massages the pancreas, stimulates nerve impulses to the pancreas and even affects the whole metabolism and provides healing energies of circulation. Hence, beneficial in the treatment of diabetes. Although, "Yoga" cannot cure diabetes, but it can complement the lifestyle changes which are necessary to keep the symptoms in diabetics under control. It also helps in keeping the person in good health and well-being. Yoga can create a life that is full, happy, healthy and balanced. If a person wants to lose weight, then in them yoga helps to build up concentration and will power, due to which it is easier for them to stay on weight-loss program. 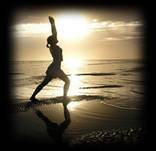 Yoga excersises gently tone and also improves circulation particularly to the extremities. Yoga exercises in combination with relaxation training, reduces the blood pressure and keeps diabetes in control. Kapalabhati is a Breathing Technique used specifically for cleansing. If you have a lot of mucus in the air passages or feel tension and blockages in the chest it is often helpful to breathe quickly. This article will introduce you to these breathing techniques and show you its benefits. There are three parts to proper relaxation - physical, mental and spiritual relaxation. Relaxation Yoga Pose relaxes your body and mind, and makes you feel refreshed after doing the Asanas and the pranayama. This is why it is an essential part of Yoga practice. Utthita Padmasana tones up the body by strengthening hands, legs and spine. It also helps in treating genital diseases and improves vitality. This asana helps to relieve arthritis and rheumatism. It strengthens the whole body, particularly the lungs, abdominal organs, sciatic nerves, prostate glands and the kidneys. It also provides relief in cases of diabetes, constipation, dyspepsia, bronchitis, etc. • Lie on your stomach with legs stretched, and feet together, chin resting on the ground. Keep both your hands under the thighs. • While inhaling, slowly lift both your legs upwards and stretch as far as possible without bending the knees and toes. Retain this position for some time and then, while exhaling, lower your legs slowly and bring back to the original position. • Repeat this three to four times. • Take the posture of Vajrasana, fold your palms into fists and place them next to your navel. • While exhaling, gradually bend forward without raising your hips and rest the abdomen and fists over the thighs. • Retain the posture for some time and while inhaling, return to normal position and relax.